Morrow, Martin. "R.H. Thomson". The Canadian Encyclopedia, 30 May 2018, Historica Canada. https://www.thecanadianencyclopedia.ca/en/article/rh-thomson. Accessed 22 April 2019. Thomson made his debut at the STRATFORD FESTIVAL in 1982 as Mark Antony in Julius Caesar and has since tackled such classic roles as Hamlet (Toronto Free Theatre, 1986) and Cyrano de Bergerac (Theatre Calgary - Manitoba Theatre Centre - National Arts Centre, 1996). Actor R.H. Thomson (courtesy CooperShoots). R.H. Thomson plays the villainous Tom Hardwick in The Englishman's Boy, filmed in Saskatchewan (courtesy Minds Eye Entertainment). 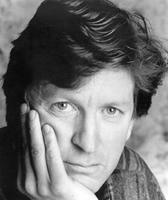 R.H. (Robert Holmes) Thomson, actor, director, playwright (b at Richmond Hill, Ont 24 Sept 1947). R.H. Thomson, one of Canada's foremost stage actors, is also known for his extensive work in television and film. As a youth he had a twin love for drama and mathematics, and received a bachelor's degree in science at the University of Toronto in 1969 before going on to train at the NATIONAL THEATRE SCHOOL and at the London Academy of Music and Dramatic Art (LAMDA) in England. Thomson launched his acting career out of LAMDA, as a member of a touring Shakespearean troupe led by director Tina Packer. In 1972, he returned to Canada and began building a reputation as a versatile leading man on stage and a deft character actor on screen. Thomson made his debut at the STRATFORD FESTIVAL in 1982 as Mark Antony in Julius Caesar and has since tackled such classic roles as Hamlet (Toronto Free Theatre, 1986) and Cyrano de Bergerac (Theatre Calgary - Manitoba Theatre Centre - National Arts Centre, 1996). However, his most distinctive performances have been in modern and contemporary plays, where his acting has been lauded for its subtle detail and passionate intelligence. These have included Ariel Dorfman's Death and the Maiden (Manitoba Theatre Centre - Canadian Stage, 1993), David Mamet's Oleanna (Canadian Stage, 1995) and Michael Frayn's Copenhagen (Theatre Calgary, 2003). Thomson has starred in the premières of numerous Canadian plays, most notably David Young's critically acclaimed Glenn (Necessary Angel Theatre Company, 1992, and in the 2000 revival), in which his lanky physique and wryly humorous style made him a perfect choice for the part of eccentric Canadian pianist Glenn GOULD. R.H. Thomson has had an equally long and varied career in television and film. On TV, he has become a mainstay of Canadian historical dramas. Highlights have included Charlie Grant's War (1985), in which he played the title hero, a real-life Canadian diamond dealer who rescued Austrian Jews from the Nazis; and his GEMINI Award-winning performance as insulin discoverer Dr Frederick BANTING in Glory Enough For All (1988). He has also appeared in such TV movies and miniseries as Trudeau (2002), Prairie Giant: The TommyDOUGLASStory (2006), October 1970 (as FLQ kidnap victim James Cross, 2006) and The Englishman's Boy (2008). On series television, he was bashful inventor Jasper Dale in the popular Road to Avonlea (1992-94) and hosted CBC-TV's long-running Man Alive program for three seasons (1998-2001). Feature film credits include If You Could See What I Hear, for which he won a GENIE Award (1982), Heaven on Earth (1986), The Lotus Eaters (1993), Guy MADDIN's Twilight of the Ice Nymphs (1997) and Bonhoeffer: Agent of Grace (2000). In the 1990s, Thomson branched out into directing, staging productions at regional theatres across Canada. He also wrote and performed a highly personal solo show, The Lost Boys, based on letters written home by his five great-uncles who fought in WWI. The play premiered at Ottawa's Great Canadian Theatre Company in 2000 and a television version won Thomson his second Gemini Award in 2003. An outspoken advocate for arts and culture, Thomson was artistic producer (1991-92) of Toronto's World Stage and is a co-founder of ShakespeareWorks, an educational theatre project dedicated to making Shakespeare accessible to young people. He has also served as chairman (2000-05) of the Artists' Leadership Council of the International Network for Cultural Diversity. In 2008 he was the driving force in the creation of the international historical project Vigile 1914-1918 Vigil, where the names of Canadians who died in the First World War were projected onto the Memorial Wall at the University of New Brunswick. He also directed the re-enactment of the 1834 Mayors' Debate for Toronto's 175th anniversary celebrations, where Eric PETERSON played William Lyon MACKENZIE. In addition to his Gemini and Genie wins, Thomson won a DORA AWARD for his lead performance in Hand to Hand (Toronto Free Theatre, 1983), and was honoured by the Toronto Drama Bench in 1992 for his outstanding work. In 1997, he was given the National Theatre School's Gascon-Thomas Award and the following year received an honorary doctorate from the University of Toronto's Trinity College. In 2010 he received the Barbara Hamilton Memorial Award "for excellence as well as for serving as an arts advocate and ambassador," and was named to the ORDER OF CANADA.